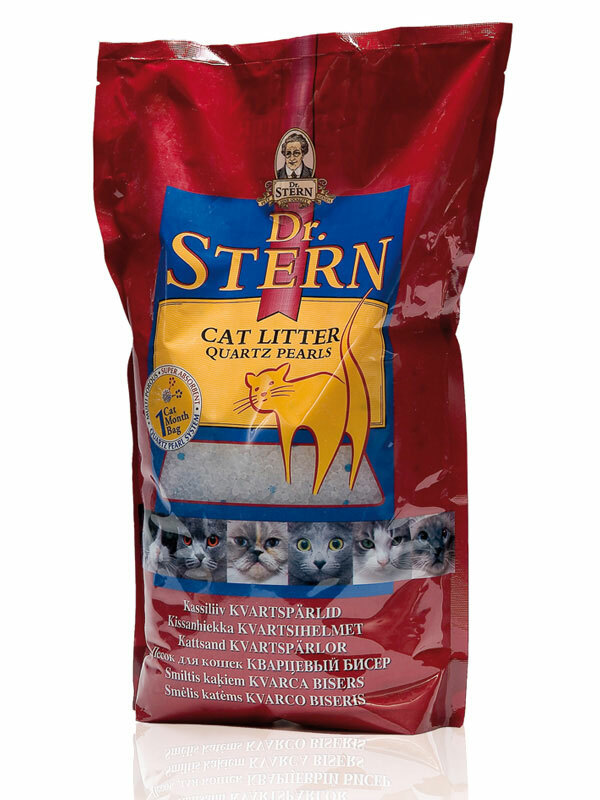 A characteristic of the Dr Stern packs is a horizontal strip showing the pack contents – in the case of quarts cat litter this strip becomes a transparent window showing the actual product. The window has been shaped as a litter tray with a cat illustration overlaid. This elegantly communicates the nature of the product visually which is useful considering in how many different language markets in which the product is sold. A similar pack graphic design formula is used on the four different varieties, with colour coding used to help differentiation within the product range.